The delayed development of the Islamic world, in defiance of the formulaic approaches long favored by economists, suggests that the traditional Sharia and Islamic values and principles are at least partially responsible for the region’s persistent backwardness. 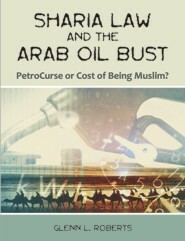 By analyzing the impact of the legal regime of the Sharia on Saudi Arabia during the Arab Oil Bust of the 1980s, this thesis concludes that Islamic social values and the Sharia’s de facto role as an uncodified pre-emptive Arab common law implemented with high regard to precedent by ulama with extraordinary power of judicial review had the effect of accentuating the effects of the Oil Bust, making the theory of the Petrocurse a subset of a larger Cost of Being Muslim. On the other hand, the author concludes that not only is the Sharia not constrained by its nature to playing a deleterious economic role, but that it has broad commercial application, both domestically and internationally, and a new generation of more flexible Muslim economists, lawyers, and financial theorists have pointed the way toward a possible comprehensive modern adaptation of Islamic laws and principles.